atrium on bay at toronto's dundas and yonge. the blurred edges are the result of the wide converter used on the A95 camera. 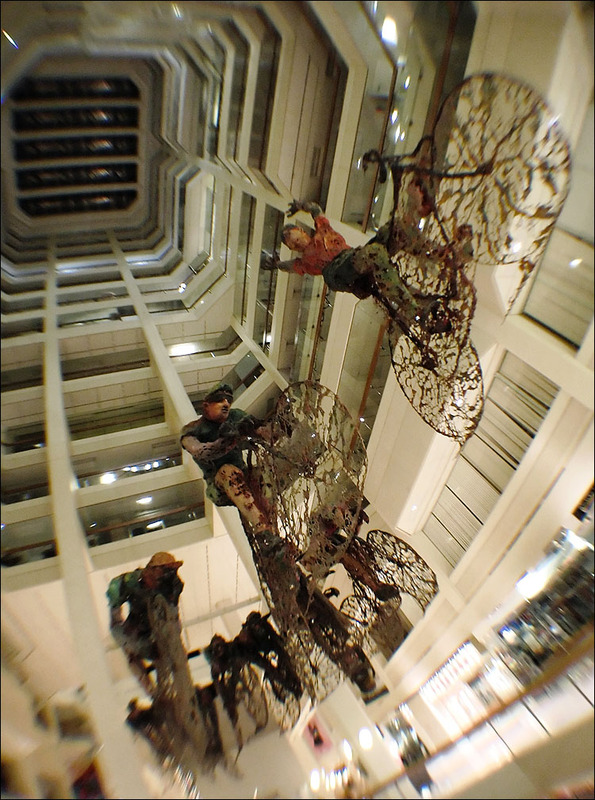 these floating bikers are permanent art installations above the escalators in this atrium.